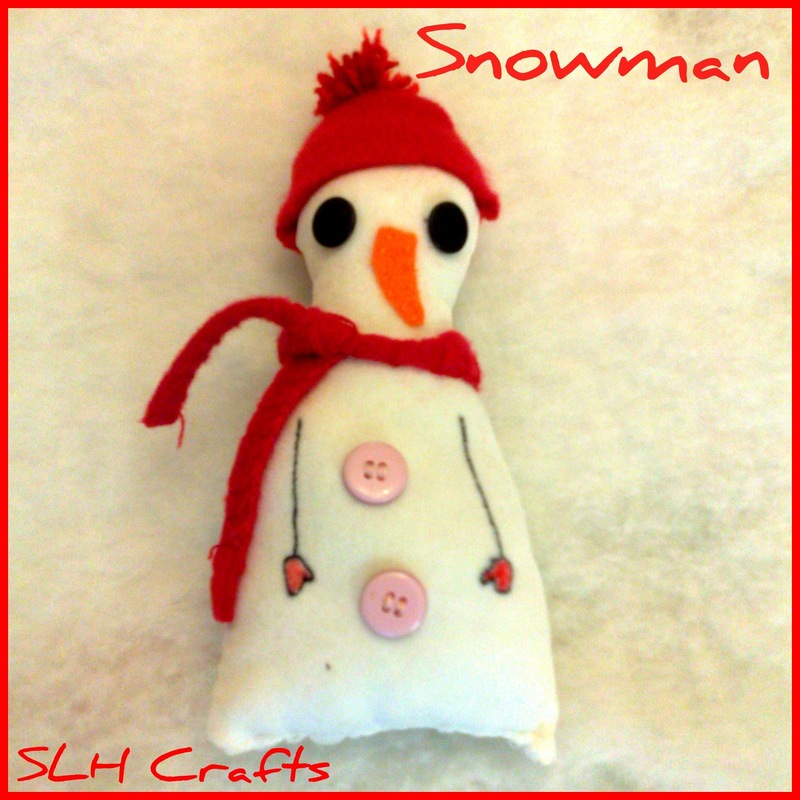 This is a photograph of a snowman I made. I made this snowman with fabric and fabric pens. Me and my friend made some and we made different hats and scarfes to put on them. We did all the work including the sewing by ourselves. My little sister also joined in and made a snowman picture with the fabric.